It may not have been the Concordia Stingers’ prettiest win of the season, but it counts just the same. Concordia prevailed 73-60 Thursday night over the UQAM Citadins, improving its record to a perfect 4-0 in conference play. The game may have been even more lopsided had UQAM not gotten to the free-throw line 30 times, making good on 28 of the attempts. Ã‰ric CÃ´tÃ©-Kougnima impressed with his free-throw abilities, making all 17 of his attempts. The tightly officiated game made things especially difficult for the Stingers who like to play a fast-paced, quick transitional style. “It got us away from how we like to play a bit, but we were fortunately able to open things up in the second half,” said Dore. Despite having to adjust its game plan slightly, Concordia was in control most of the game, never trailing after the opening minutes of the first quarter. Some sloppy shooting from the Citadins allowed Concordia to take an early 12-3 lead. The game would go back and forth for the rest of the way. UQAM was able to pull within seven points in the game’s final minutes, but a Decee Krah three-pointer put the Stingers back up 10 and was the final nail in the coffin for UQAM. Krah led the Stingers in scoring, finishing with 18 points, four assists and four steals. It is still early in the season but the Stingers are already playing with a chip on their shoulder. There is a feeling they are sometimes overlooked in the national rankings, having just crawled into the final spot in the top 10. “I think [the top 10 ranking] was overdue,” said Dore. “The Quebec conference only has five teams in it so not a lot of coaches see us play and usually people will vote for teams they have seen play.” Concordia is the only team from the RSEQ currently ranked in the top 10. Thursday’s game was also the first conference game back for Stingers forward James Clark, who had been out with an ankle injury. Clark scored nine points and had two rebounds in his limited 14 minutes on the floor. Dore said that Clark is still not feeling 100 per cent, but is on his way to feeling better. The Stingers will be monitoring his minutes until he is back to full speed. 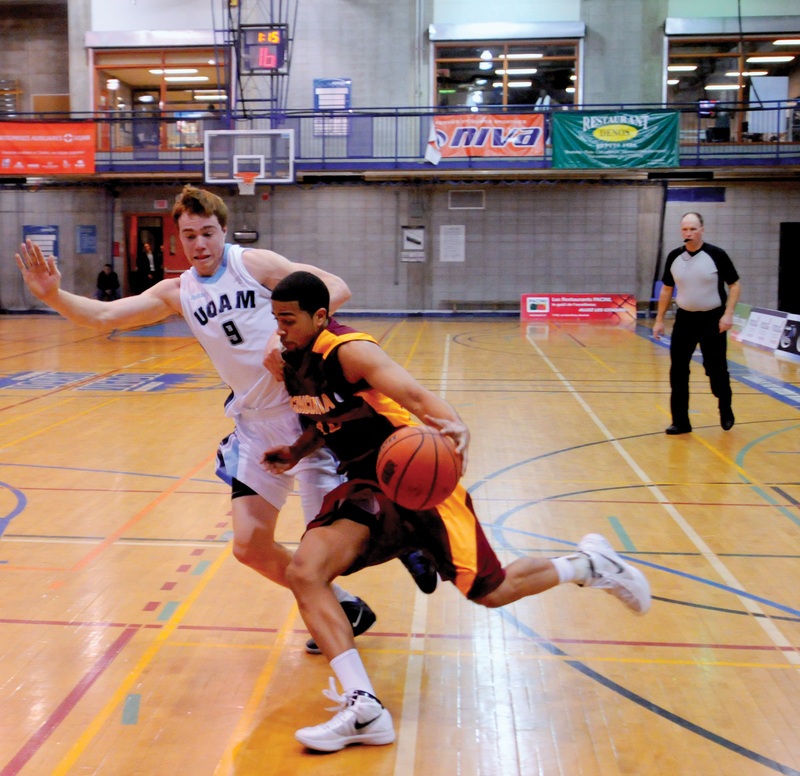 Concordia’s next game is a rematch against UQAM at Loyola on Jan. 14 at 4 p.m.